We love hot oatmeal for breakfast, but it doesn’t really appeal to us in the summer. With our days being super busy getting our house ready to put on the market… well most days we hit the floor running! 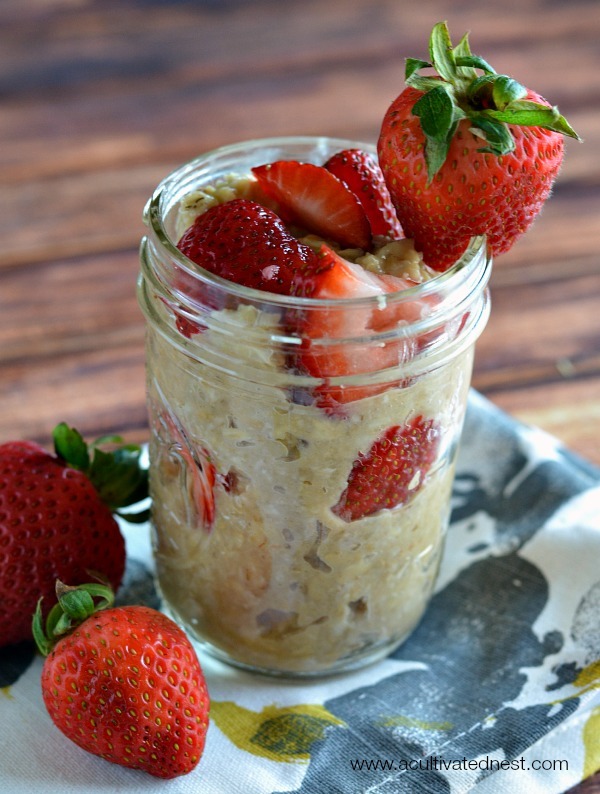 Here’s a healthy grab and go breakfast that’s perfect for busy summer mornings- Make-Ahead Strawberry and Nut Oatmeal! This is a yummy cold “porridge” and you can change the fruit out to whatever you have on hand. 2 tablespoons of sugar (optional)- Can substitute with honey, agave, maple syrup, jam etc. 1. Put your rolled oats and milk into a microwave safe bowl. Stir and heat for about 30 seconds in the microwave. Don’t worry if it seems runny. The oats will absorb the milk overnight. 2. Add some sweetener of your choice and taste test to see if you want to add more. 3. Add nuts/seeds and sliced strawberries. Stir gently. 4. Sprinkle with some cinnamon. If you like, you can transfer the strawberry and nut oatmeal to a Mason jar and then sprinkle the cinnamon on top. 5. Cover your bowl or Mason jar and refrigerate overnight. Eat chilled. I’ve kept this grab and go breakfast in the fridge for 1-2 days and it was fine (it depends on the fruit you use). It’s so convenient to just be able to wake up and grab a healthy breakfast! 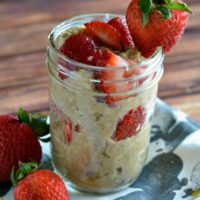 Mason jars are so easy to take to work with you, and they make it easy for overnight guests or kids to get their own breakfast! 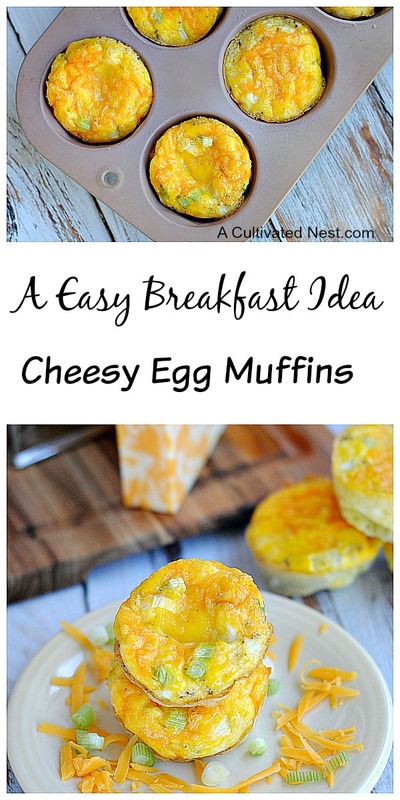 This is such an easy and yummy make-ahead breakfast! Put your rolled oats and milk into a microwave safe bowl. Stir and heat for about 30 seconds in the microwave. Don’t worry if it seems runny. The oats will absorb the milk overnight. Add some sweetener of your choice and taste test to see if you want to add more. Add nuts/seeds and sliced strawberries. Stir gently. Sprinkle with some cinnamon. 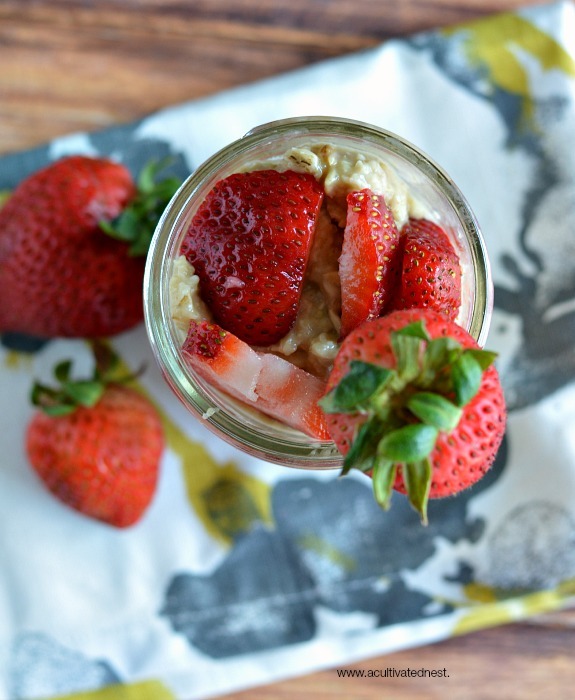 If you like, you can transfer the strawberry and nut oatmeal to a Mason jar and then sprinkle the cinnamon on top. Cover your bowl or Mason jar and refrigerate overnight. Eat chilled. I eat oatmeal everyday for breakfast and you are right about being hot in summer. I will give this a try, it looks good. Yumm! Even better, then you have more protein to start your day. I’ll give this a try too! Terri says she uses almond milk but doesn’t cook it. I wonder if the oats are chewier that way? Oh my goodness, I wish I had had this back when the girls were eating on the go in high school. They both would have loved this! Regardless, I know that I would love it, and I am definitely going to try it. It’s yummy. Terri just said she doesn’t even cook it. So I’m going to give that a try! I make a similar dish but I just add the oats and the almond milk together and stick it in the fridge overnight. No microwaving needed. I ‘ll have to try it your way to see what the difference is! Happy Monday! Really! Well that sounds even easier. You could just shake it up in a mason jar and leave it then. I’ll try that next time! Yum! Sounds delicious and easy! Have a blessed week dear Manuela, HUGS! I’ve never had cold oatmeal! It actually sounds good, especially with the fruit in it. I’m getting tired of my usual Greek yogurt with fruit and nuts in it, so I’ll have to give this oatmeal a try.